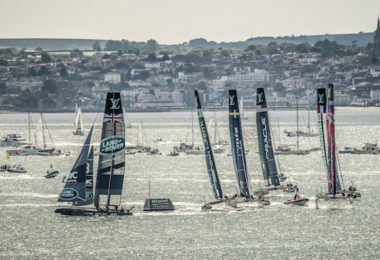 The 1851 Trust is the affiliate charity of Land Rover Ben Ainslie Racing, the British team aiming to bring the America’s Cup home and official charity of the America’s Cup World Series Portsmouth. 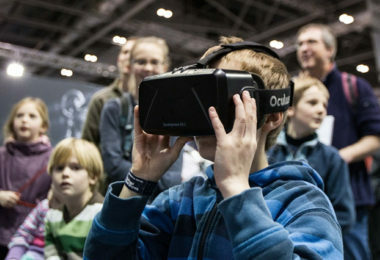 The Trust works to enable, engage and encourage young people from a wide demographic to experience sailing and give them options to continue in the sport, to understand the career choices and wider opportunities in Science, Technology, Engineering and Maths (STEM) and to consider the environment and act sustainably. Gunwharf Quays is home to over 90 premium retail outlet stores offering up to 60% off RRP. If you love to shop then there really is no better place than Gunwharf Quays. When it’s time to relax you’ll find an array of bars and restaurants to tempt you around the world, from mouth-watering French cuisine at Brasserie Blanc, fresh seafood at Loch Fyne and a host of fine Italian dishes to choose from at Carluccio’s. But if you want even more from your visit, there’s Vue Cinema, Bowlplex, a nightclub and casino. Mar-Key Group designs, creates and manufactures unique temporary structures for event organisers and commercial clients across the UK. Whether you need a show-stopping marquee or a semi-permanent supermarket, our in-house design team will bring your ideas to life. We combine over 25 years’ experience with state of the art technology to deliver temporary spaces which make lasting impressions. Every month, Hampshire Life magazine is your one-stop guide to this beautiful county encompassing food and drink venues, stunning homes and gardens, local artists and events and brilliant ideas for days out with the family. Whether you want to learn more about our stunning towns and villages or are simply looking to spend an hour or so with the county’s celebrities, Hampshire Life is the perfect publication to keep you entertained all month. 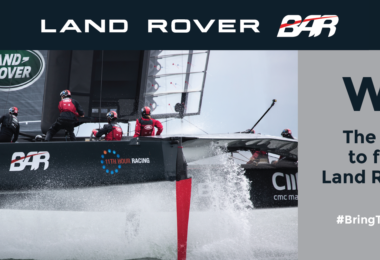 Heart 96-103 is excited to partner with America’s Cup Portsmouth for a second year. Look out for Rich and Zoe on the stage to win some great prizes across the weekend! Tune into Heart for all the latest updates with the America’s Cup and follow us on Twitter on @HeartSouth. Team Locals is a design and media studio using photography, film, social media, and content creation to promote events and businesses in Portsmouth and Southsea, working closely with both our clients and the local community. Launched in 1947, Yachts & Yachting is recognised the world over as essential reading for anyone with a passion for competitive sailing. Boasting a unique heritage that both inspires and informs its readers, Yachts & Yachting reports directly from the cutting edge of the sport. We offer 25 sensational sailing destinations around the world. Whether you’re interested in a chartered yacht, a social flotilla, taking the boardroom to the water on a corporate event, an exciting regatta or just relaxing while a skipper takes the helm, we have the perfect sailing escape for you. From the Caribbean to Southeast Asia, the Mediterranean to the Indian Ocean and South Pacific, get inspired with our worldwide sailing destinations. British Marine is the membership organisation for the leisure, superyacht and small commercial marine industry. We lead and promote our industry and work with our members to achieve sustainable growth in a competitive global environment, through the provision of world-class goods and services. We support over 1600 members with a range of services and expertise which help their business. Hampshire Chamber of Commerce is a business support membership organisation which is owned and led by its membership of local business organisations. The Chamber runs a fantastic programme of events and training, supports local business by lobbying on their behalf plus gives access to international trade documentation. It also allows its members to benefit from a range of products and services and helps promote through the magazine and other advertising opportunities. As Europes largest marina group, MDL doesn’t just provide a secure home for your boat. Their expert team of friendly staff make sure you are looked after round the clock. With over 100 beautiful locations across Europe and the UK, MDL pride themselves on delivering an unrivalled marina experience, no matter where your adventure takes you. More Than a Tour has been set up by New Forest locals who are incredibly passionate about the New Forest and surrounding areas. Using their expert local knowledge, the team have created a fantastic range of all-inclusive New Forest tours, designed to show you around the area, just as they would a friend. When it comes to the tours and events provided by More Than a Tour, every tiny detail has been carefully considered; allowing you to sit back and leave everything to the experts. Premier Marinas owns and operates nine award-winning marinas on the South Coast. 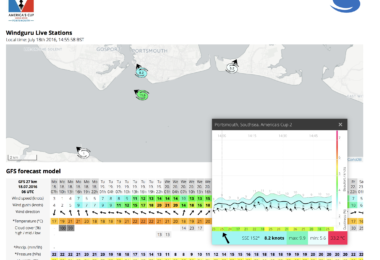 Premier’s marinas include Eastbourne, Brighton, Chichester, Southsea, Port Solent, Gosport, Swanwick, Noss on Dart and Falmouth, plus the Endeavour Quay boatyard in Gosport. With over 5,000 berths combined, Premier Marinas strives to be the finest marina operator in the UK, providing quality boatyard facilities at all its marinas. The RNLI is the charity that saves lives at sea. We provide, on call, a 24-hour lifeboat search and rescue service around the UK and Ireland, and a seasonal lifeguard service. With our lifeboats, lifeguards, safety advice and flood rescue, we are committed to saving lives. Southampton Airport is a friendly local airport located only 15 minutes from the centre of Southampton. It offers direct flights to over 40 international destinations as well as worldwide connections through Amsterdam with KLM. 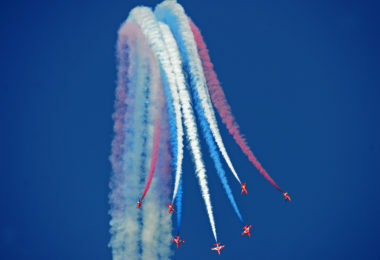 Southampton Airport also offers excellent onward travel connects with central London only 66 minutes away by train. Southsea Skate Park is one of the oldest surviving skate parks in the world, based on the original roller skating rink dating back to the 1950’s. The park responded to the boom in skateboarding in the 70’s, then the explosion of BMX and most recently the scooter craze - the park is now a multi-sport venue and is run and maintained by a registered charity. The skatepark is in an amazing location, sited in an historic park right on the seafront, offering a marshalled arena with first aid facilities, a café, spectator seating and some of the finest ramps and bowls in the south of England. We are already a centre piece to the Victorious festival and look forward to being part of the America's Cup dry-side events this summer. Travel Places helps professional teams, sponsors, media and sports organisations with their travel requirements to enable them to reach their destination on time, on budget, every time. 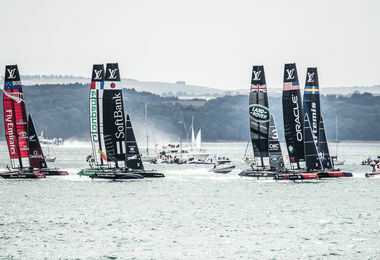 In addition to the America’s Cup, Travel Places provides travel logistics for all Formula One teams based in the UK, British Paralympic Team, Volvo Ocean Race and many other worldwide sporting organisations.